An area of disturbed weather over the Yucatan Peninsula is about to emerge into the Gulf of Mexico, with a favorable environment for development awaiting. 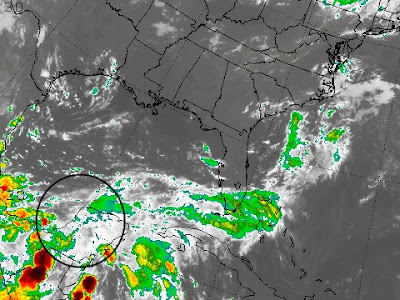 This system is being monitored by the National Hurricane Center for likely development into a tropical system -- and it could become a tropical storm as soon as tomorrow. Ingrid is the next name on the list for the year. 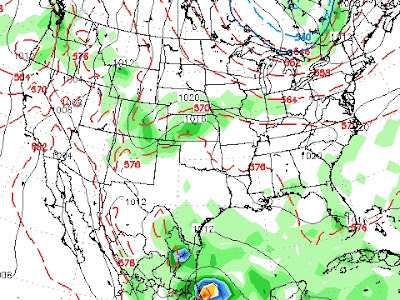 The future storm is likely to work into Mexico, blocked from making a northward advance by a ridge of high pressure over Louisiana and Texas. 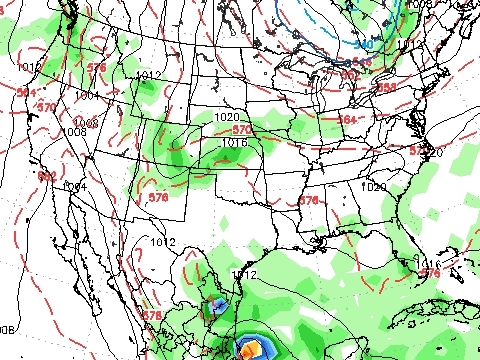 Some of the earlier modeling out there had brought this system relatively close to Brownsville in a few of the GFS projections but those have since backed off, with it and other modeling now suggesting a landfall a good distance south of the border. Intensity projections vary but the potential for a stronger tropical storm or hurricane across the Bay of Campeche seems to be pretty high at this point. Elsewhere in the tropics, Humberto continues to spin in the Atlantic and is no threat to anyone along the East Coast, with Gabrielle a relatively modest system as it works north through the Atlantic to the north of Bermuda.